Home to the Pac 12 powerhouse University of Washington, Seattle’s University District provides housing and amenities to employees and students of this esteemed school. This neighborhood, also called the U. District, offers walking access to the shores of Lake Washington, the University Campus, ample public transportation, and a high diversity of stores and restaurants. The stadium, yacht club, and arboretum are some of the outdoor options for those living here. PricesWith this kind of access and the Amazon tech industry driving up prices countywide, the cost to buy here is not insignificant. In early 2018, median sale price was 1.25 million for a home here. Rental median was $2997 per month, and average home cost worked out to be $499 per square foot. Many of the homes closest to the University are utilized as rentals to support the large campus population. Considering the access to the University of Washington, it is not surprising to know that the vast majority of residents in the University District are young and single. 85 percent of all residents are single, and the median age for the area is 23. Only 6 percent of residents in the area actually own the homes they live in. Median income is low, coming in at just over $20K per year. However, most of the students are paying for their apartments or houses with income from parents or student loans. Racial and international demographics shift with each year’s admission statistics. The area is considered to be highly educated, again no surprise, with 73% of residents attending or having completed college. Male to female ratio here is approximately 1:1. The oldest known settlement in the U. District was a fishing camp for the Duwamish Tribe on the shores of Union Bay. The original name for this area was Brooklyn, which morphed into University Station when the UW moved from downtown to the region in 1893. Soon after, it became University Heights. Because public transport at the time was limited to a trolley, the area was relatively self-sufficient and had everything that university students and employees needed to sustain themselves within walking distance. As the university expanded, so did the number of buildings dedicated to student housing. Families began moving to other nearby neighborhoods like University Place, Sand Point, and Wallingford. There are a number of common architectural home types in the area. Single family homes are dominated by Craftsman homes, the famous Sears Roebuck catalog option that many original settlers sent for by mail order. Many of these homes have been modernized to suit today’s necessary utilities. Nearby, Greek row offers a tightly packed two blocks of mansions that were mostly built in the 1920s and 1930s, offering a consistent architectural look in a historic neighborhood. Homes here are mainly Georgian Revival or Tudor Gothic in design aesthetic. Finally the last option found most commonly in the region is a series of high rises that differ in age from around the 1960s to the early 2010s. Many of the older buildings of this style are being torn down and replaced with taller versions as zoning rules change to allow more residents and taller structures. The U. District is the border between Seattle proper and North Seattle. It is located on the shores of Union Bay, and is adjacent to I-5, the dividing line between this neighborhood and nearby Wallingford that borders the area to the West. The East side of the area is similarly named University Place, which is home to the University stadium. The canal that divides Lake Washington and Lake Union comprises the Southern border of the neighborhood, including Union and Portage Bay. Capitol Hill is an ornate walking and driving bridge away. To the North, you’ll find the neighborhoods of Ravenna and Roosevelt. Thanks to the U. District’s main source of revenue and residents, there is little change expected in the makeup of the neighborhood or the kind of tenancies here. This will always be a high-turnaround, high-rental area. It will remain highly walkable with a large number of budget-friendly and diverse restaurants and shops. Even as the types of stores and cuisines change with demand and trends, the number and accessibility will not. The access to a large amount of nightlife and young, free-spirited residents continue to make this area relatively safe and highly patrolled. It also makes it a place that tends to be loud in the evenings and on the weekends. This limits families, who tend to move to adjacent neighborhoods as their needs and desired activities change. However, the campus, the Burke Museum, the Arboretum and other attractions keep families visiting during the day. 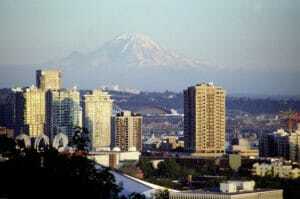 Our property management team specializes in residential areas throughout University District, WA. We offer multiple services to take your rental property and convert it into reliable income. We have a thorough screening process that helps to identify the right tenants for your property. Our team works hard to keep both parties happy through effective communication, bullet proof lease agreements, and timely monthly rent collection. We offer maintenance services to enhance the property and ensure that it will retain or increase in value. We oversee everything, allowing you to sit back and relax and know that your property and your tenants are in good hands. Contact us today if you are ready to receive a comprehensive analysis of your rental property and to inquire about our University District area property management services.